Wrap yourself in boho glamour with Stephanie Lau’s Boho Wrap! Once in a while, a pattern catches my eye and I just have to order the yarn right there and then get started! All other WIPs are forgotten for this new project, and I can’t rest until it’s finished. This is very true of this gorgeous wrap – it’s decadently swingy, it’s gorgeously soft and it can be swirled around your shoulders all through the spring and summer! It’s your best friend at a festival, and an extra layer at a BBQ or at the theatre – and will keep your shoulders covered on the beach. Say hello to Stephanie Lau’s Boho Crochet Wrap! The suggested yarn here is King Cole Bamboo Cotton DK, a super soft and swirly bamboo & cotton blend that has a beautiful sheen and drape, and it comes in 25 shades – some beautiful jewel brights and romantic muted vintage colours – I love the Dusty Pink and Glacier shades, but Fuchsia and Crimson would make bring out the gypsy in your soul! Bamboo yarns do have a very lovely drape, and are perfect for keeping you cool as well as being great for anyone allergic to animal fibres. You’ll need four balls of King Cole Bamboo Cotton DK or 920m / 1000 yards of your favourite DK weight yarn (there’s no reason you couldn’t make this wrap a different fibre – be decadent with silk, or try a wool blend for cool weather) and a 4mm hook for those gorgeous shell stitches. Get ready to be festival fabulous! The beauty of one of these shawls is that if you want to make it slightly smaller you can, or bigger if you are tall and you’d like it to drape further down your body. The fun fringe brings a vintage feel that is also so on trend – it’s the perfect garment for summer! We’d love to see your Boho Wraps on our Community! Join the fun and upload your photos! Make the SFMGS Boho Spike Stitch Bag! 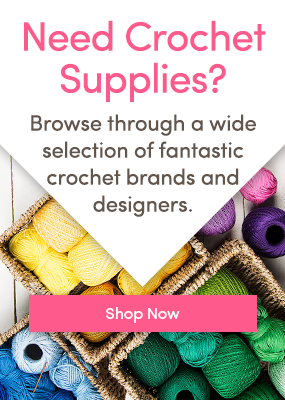 Crochet with Kath – Turban wrap headband Crochet ahead for Christmas: Shawls Top of the Flock: amazing hats! One Response to Amazing Boho Wrap pattern!